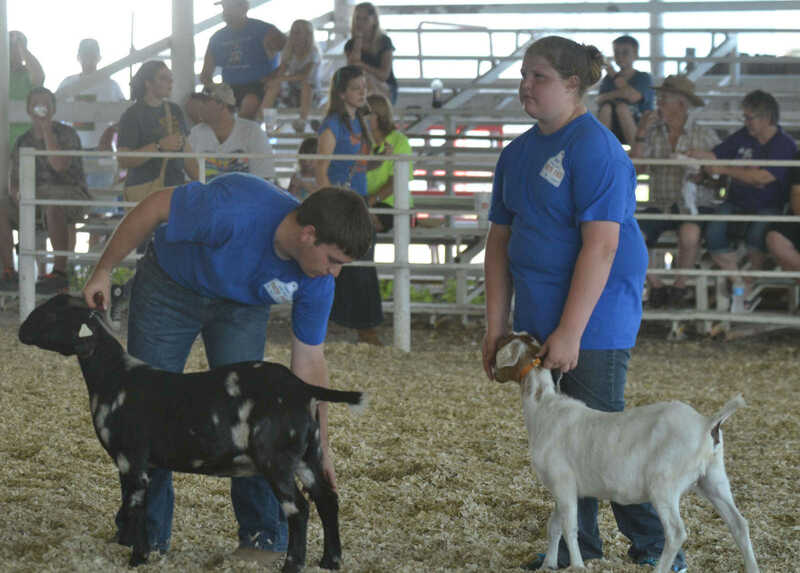 First place winner Madison Shipley, of Nevada, stands with her goat in the Meat Goat/Weather Class 2 category. 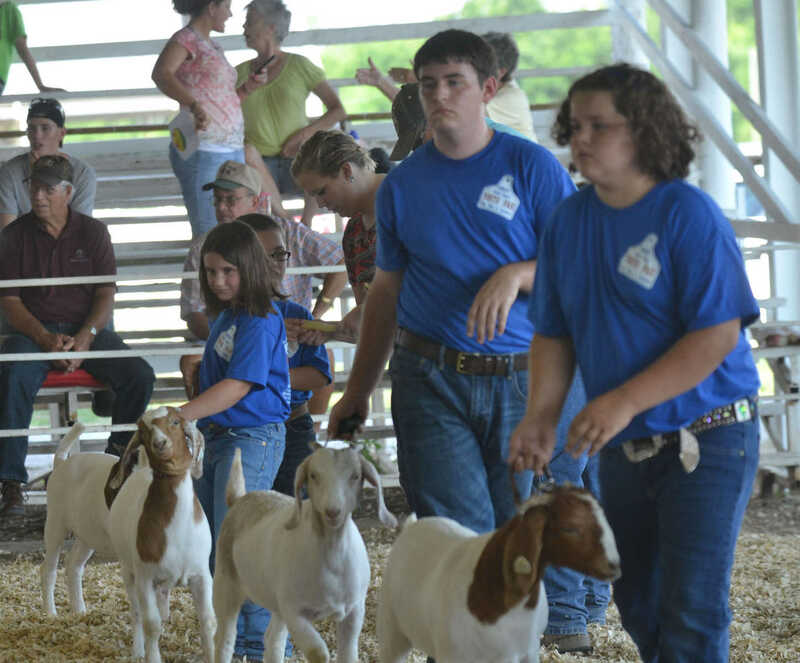 Boys and girls line up their goats in the Meat Goat Show at the Pavilion on Tuesday. 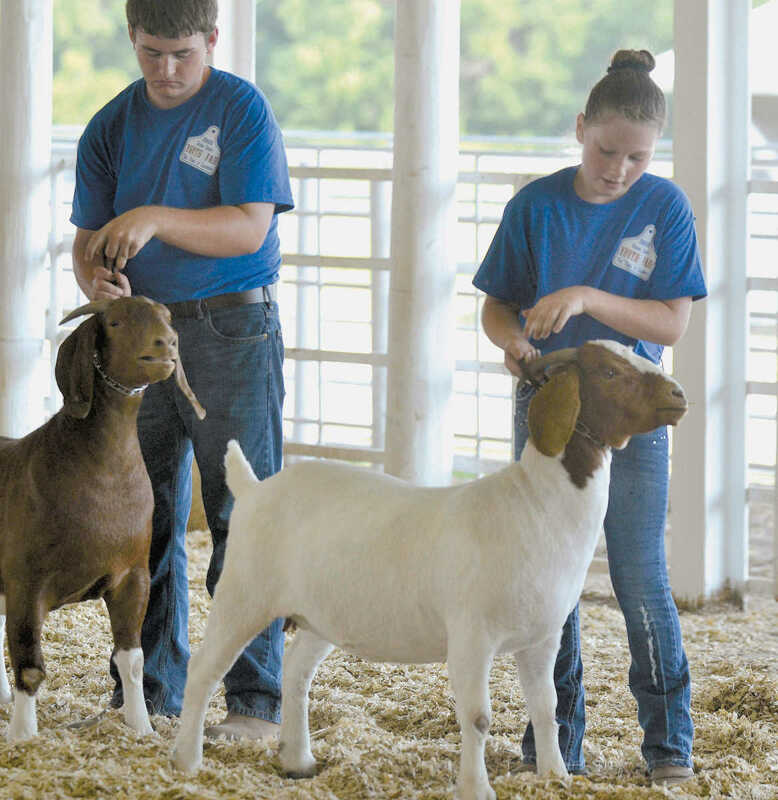 Boys and girls line up their goats in the Meat Goat Show at the Pavilion on Wednesday. 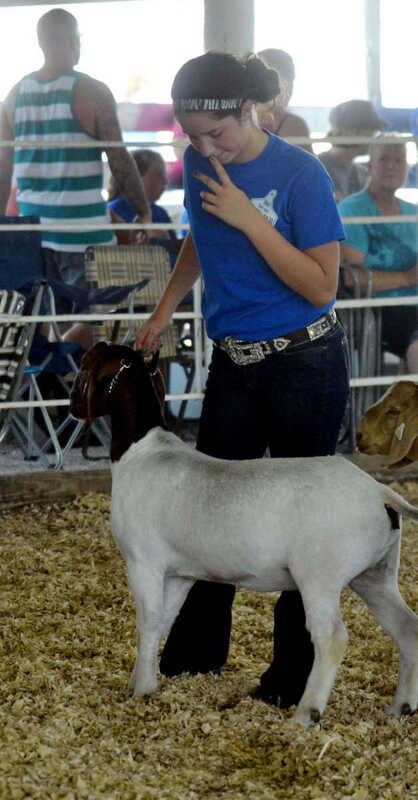 First place winner Rachel Buss, of Bronaugh, calms her goat in the Spring Doe category. Brett Smead, of Nevada, stands behind her. 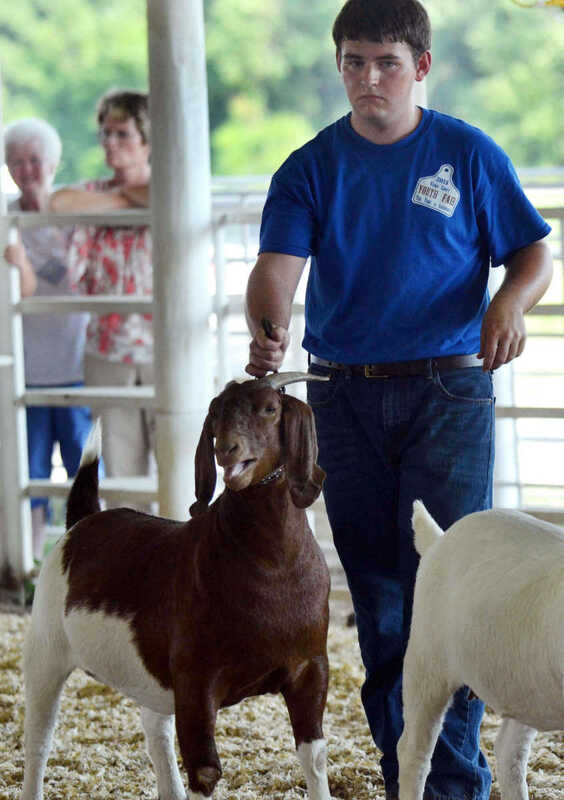 Grand and Reserve Champion Brett Smead, of Nevada, stands with one of his goats. Smead also won won first place in the Yearling Doe, Second Yearling Doe and Senior Doe categories. 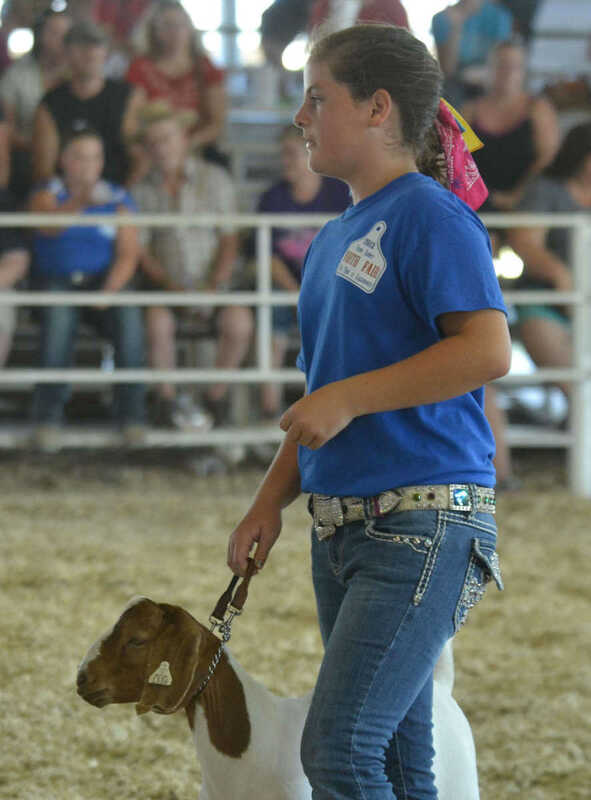 Maddison Ashby, of Nevada, stands with her first place goat in the Fall Doe category.